Waiting for the big day to arrive when you are finally able to pick up your new furry best friend is so exciting. You find yourself anxiously waiting, and counting the days like a child waiting for Christmas morning. In this article I am going to discuss how to prepare for a new puppy, so that when the day arrives it will be a good one for both you and your new puppy. Puppy Food– If you are picking your puppy up from a breeder, they will usually send the puppy home with a small amount of food that the puppy is currently eating. It is a good idea to keep the puppy on the same food for a while, and if you decide to switch you should introduce new food gradually, at a small amount mixed with old food over a 7-day period. Doing so will avoid any digestive upset. 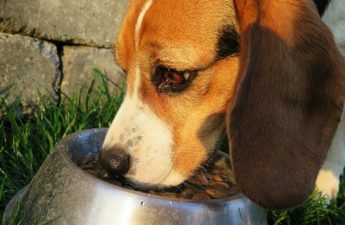 Food & Water Bowl- There are many options out there, from stainless steel to plastic, elevated, and many colours to choose from. I would recommend stainless steel bowls over plastic, because plastic can get small scratches over time which will hold bacteria. Stainless steel bowls are non-porous, durable, and easy to clean. Look for bowls that have a rubberized non-skid bottom. Crate & Bedding- A crate will make your puppy feel safe and secure. It will be his/her den. Choose a dog crate that will be big enough to allow your puppy to lie down, sit, stand and turn around comfortably. Look for a crate that has a divider so that you can use the divider for the puppy stage and then when your dog grows you can remove the divider. You do not want the crate to be so big that the puppy uses it as a washroom. I would recommend an old blanket or towels to use as bedding inside the crate, as your puppy might have accidents, that way it can be easily washed and cleaned. Collar– There are many options out there. It is best to buy a collar that will fit your puppy now, and expect to buy a few more collars as your puppy grows. A good rule of thumb is that you should be able to slip two fingers under the collar at any time. Avoid having the collar too loose as your puppy might slip out of it, and if it is too tight your puppy could gasp for air and choke. Leash- Again, there are many options to choose from, you could match the leash to the collar. Keep in mind that you will be buying more leashes in the long run, so it is best to go with an inexpensive one for now. Your first leash will not be your last leash, as your new puppy will love nothing more than to get their sharp teeth chewing on it. ID Tag- You will need an id tag attached to your puppy’s collar. It should have the puppy’s name on the front, and your address and phone number on the back. Toys- Your puppy should have a few toys to start with. Some stuffed toys, chew toys, balls, etc. Make sure that the toys are strong, durable, well-made, and sized appropriately. Grooming Supplies- These include brushes, and combs, nail trimmers, shampoo, ear cleaners, and teeth cleaners. Keep in mind that your dog’s physical maintenance, such as the coat and nails is one of your dog’s basic needs. It is always best to start the grooming process at a young age, in order to get your dog used to it. The above list should get you started on the right foot. You will find that you will be going into pet stores all the time wanting to purchase things for your puppy. Just like baby proofing your home, you will want to puppy proof your home before your puppy arrives. Make sure there are no hazards in your house and yard that your puppy can get into. Keep power cords, garbage, chemicals, medicine, plants, and any other toxic and dangerous items out of sight or reach from your puppy. Your new puppy will be curious, and will want to get into anything and everything, so it is best to take the time beforehand to make things as safe as possible. The day has finally arrived, when you are able to bring your puppy home. It is best to have someone go with you to pick up the puppy, so that you can keep the puppy calm while the other person drives. I would suggest bringing a small crate, or laundry basket with a blanket or towel, to place the puppy in for the car ride. You may also want to hold the puppy on your lap for comfort. Arrive early at the breeder or shelter, or where you are getting the puppy, so that you can ask questions and spend time with the puppy before the car ride. Ask about the puppy’s feeding schedule, and vet records. Keep the car ride quiet and relaxed, and stop for bathroom breaks if it is a longer trip. Once you arrive home, introduce your puppy to his/her new surroundings. Let the puppy explore and sniff around. It is important to start training right away, and get into a routine with your new puppy. Teach good manners and appropriate household behaviors. A routine will help make your puppy feel secure. It will take some time for you to establish a routine, that is best for you and your puppy, and in the beginning it could be a little stressful, but once a routine is in place everyone will be much happier. Always praise your puppy for good behavior, and never yell or get angry with your puppy. While puppies can be overwhelming at times, remember to enjoy every moment of the puppy stage, because before you know it your puppy will be all grown up. 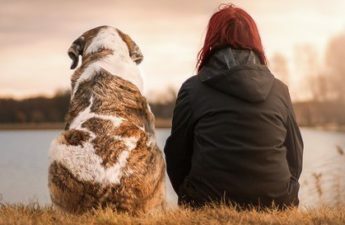 If you are consistent with your puppy from the beginning, and practice good behavior and training methods, you will be rewarded with an amazing best friend. Hi Jenny. My boyfriend and I are seriously looking at adopting a female golden retriever puppy. Could I please ask how you determined and selected the breeder you chose to go through? Thank you for your comment. I am happy to hear that you are wanting to choose a female Golden Retriever puppy, an excellent breed and a female is a great choice. That is exactly what I chose as well, so I know firsthand how great female Golden Retrievers are. It is important to do your research when it comes to finding a reputable breeder, as there are many “backyard breeders” out there who just want to make money. A good idea is to research the internet for local breeders in your area, talk to friends and neighbours who own a Golden Retriever and find out where they got their dog. When looking for a breeder, you should check out kennel clubs like the Canadian Kennel Club, or the American Kennel Club, depending on where you live. Go on their website, which lists all of the breeders that are members of their organization. This is very important for purebred puppies, breeders who are members of these clubs will have to follow a Code of Ethics. A good breeder will require you to visit, and will ask you questions. They will allow you to see their dogs, and the mother will be on site. The location where the dogs and puppies are housed should be clean and well kept. The breeder should be very knowledgeable about the breed, and you should be able to ask them any questions. They should inform you of their dogs health clearances, for example if their dogs have been cleared for hip and elbow dysplasia, and other health issues. Ultimately you should feel comfortable with the breeder, and you should be provided with a written guarantee, health certificates and vet records of the puppy. There are many questions to ask a breeder, and I could go into great detail. For further reading, you can check out some of my other articles that will be helpful to you. Checklist For A New Puppy This article goes into greater detail of what you need for a new puppy, and what services are required for a puppy. How To Choose A Puppy From A Litter This article lists the important questions to ask a breeder, and how to choose a puppy from a litter. Male vs Female Golden Retriever This article lists the differences between a male and female Golden Retriever, and why I chose a female. Thank you for visiting my website, and I wish you all the best in your search for a breeder and a female Golden Retriever puppy. Please feel free to ask me any other questions you may have, and I will be more than happy to help you out.